Our place sits out in the open prairie but up above the valley, to our south the rim rock of the mesas climbs a thousand feet above us. The country between is blanketed with Oak Brush, Pinõn, and Cedar, with Blue Spruce, Aspen and Ponderosas as its crowning glory. To the west the Sangre de Christos paint the horizon with a multitude of purples, blues and greys as each mountain and ridge falls away to another higher one. To our north and east you can look out for miles across a sea of rolling prairie grass that’s colors change not only with the seasons but also with the time of day and the shadows of the clouds above. From the porch I look out at this version of heaven and know just how special it is, but, the very best part of the view is down at the end of our gravel driveway. 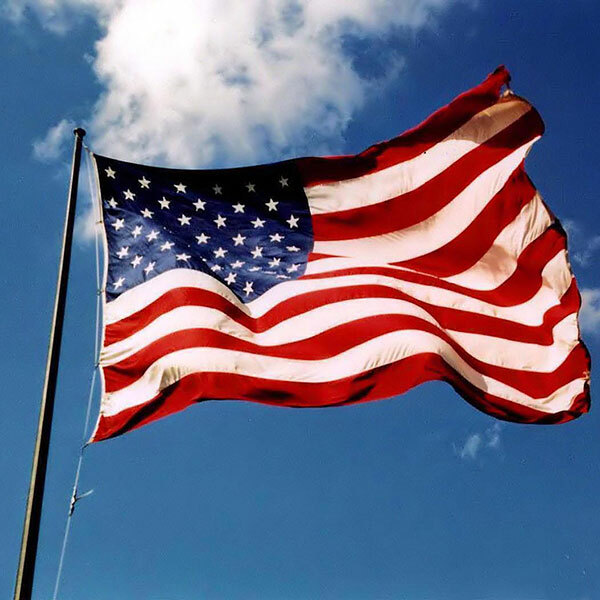 There, every day, waves our American flag; a beautiful reminder of who I am, what I stand for, and what not only our fathers and fore-fathers fought for, but now also our son. What better reminder could there be, than this beautiful flag in the early morning sunlight blowing in the breeze? And so today, we gather as a nation to honor those who serve or have served. This is our day to thank them. And like that flag, their service is a beautiful thing. Thank them with all your heart; tell them how much their service means to you. Honor them by supporting the values that this country was built on, created for, and endures because of. These men and women, they deserve so much more than just hanging our flag up for the day; more than we can ever possibly give back to them, and more than they will ever ask for. But when you go about your day, not just today but every day, when you see that beautiful American flag, be proud, not only of our country, but of these men and women who have sworn to protect it, and then tell them and find some little way to do more for them. Mrs. Hampton (Lisa), thanks for the insight into the views around the ranch. All directions seem to offer something of beauty. We’ve seen your neck of the woods and it’s definately a special place. But the view towards old glory is a special view where ever she flies. We too grew up in a place and time where honoring our flag, country and the service men and women who’ve served to keep our country free and safe was a way of life…still is. Thank you for sharing and we join you in honoring and recognizing those who are serving, have served and especially to those who have given the ultimate sacrifice. Thanks again and God Bless America! Hello, I will love for sure to live in such a Beautiful place with an amazing view:) We must honor always our heroes..
Our flag flies on the front porch with a solar light attached to the pole. The flag presented to me at my husband’s death sits folded in the living room.